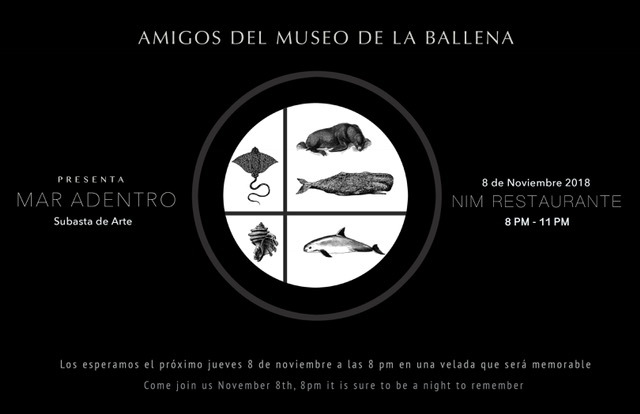 The goal of this art auction is to raise money to complete the first episode in an educational documentary series about the marine species that are included in the vast collection of the Whale Museum here in La Paz, BSC. When the museum was open, 80% of its visitors were students. The museum was dedicated to education and creating a conversation around the unique marine biodiversity of the region. When the museum closed it’s doors last August, we wanted to make sure that their mission could continue even if it is in a different museum. With this series, the children from local schools will be able to virtually submerge themselves in the museum and realize how wonderful the cetaceans, sharks and turtles are along the Baja Peninsula. We want to help the museum to continue to inspire the future generation of Baja California and for them to become true ambassadors of the sea. By participating and buying local art, you can make a difference.